ABC has ordered two additional episodes each from Tuesday night comedy, Fresh Off the Boat, and Wednesday night comedies The Middle, The Golbergs, and Black-ish. Per The Hollywood Reporter, sophomore Fresh Off the Boat, which just received a full season order last month, will move from its current 8:30pm timeslot to 8:00pm, once The Muppets‘ first season comes to a close. 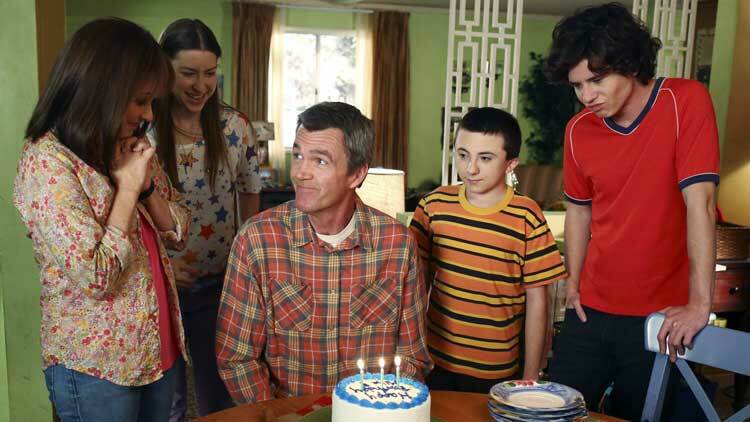 It is standard practice for the broadcast networks to order extra episodes from its strongest performers, and veterans Modern Family and The Middle have produced 24-episode seasons virtually for their entire runs to date. This is the second consecutive year that ABC is going for 24 episodes for all four of its Wednesday comedy series, joined this time by FOTB. The five series come from different studios, 20th TV (Modern Family, FOTB), Warner Bros. TV (The Middle), ABC Studios (Black-ish) and Sony TV (The Goldbergs). What do you think? Are you a fan of Fresh Off the Boat, The Middle, The Goldbergs, and Black-ish? Do you agree with ABC’s decision to up their orders? Do you think Modern Family will follow suit? More about: ABC TV shows: canceled or renewed?, Black-ish, Black-ish: canceled or renewed?, Fresh Off The Boat, Fresh Off The Boat: canceled or renewed?, Modern Family, Modern Family: canceled or renewed?, The Goldbergs, The Goldbergs: canceled or renewed?, The Middle, The Middle: canceled or renewed?, The Muppets, The Muppets: canceled or renewed? ABC Orders Mores Episodes of Many Shows, Who’s Left Out? According to The Futon Critic, “Modern Family”‘s current 7th season is apparently staying at 22 episodes, rather than the 24 that its previous seasons always had. Only watch THE MIDDLE…. this is the only one that’s really funny!